Marina graduated from XI ‘an international Studies University, majoring in Chinese education. After graduation, she worked in a Chinese school. 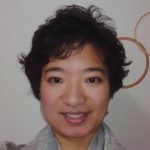 She has been teaching online Chinese since 2010, and specializing in Chinese pronunciation, grammar explanation, Chinese pinyin, Spoken Chinese, Chinese culture, business Chinese, and preparing for the HSK test. She enjoys teaching Chinese because it makes her more creative. She has taught many different types of students, ranging from ages five to sixty years old, and coming from all over the world. 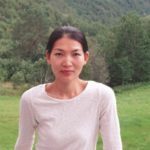 She has taught many different of materials, including “My Chinese classroom,” “Chinese Made Easier,” “Advanced Business Chinese,” “New Practical Chinese Reader,“ and “Chinese Made Easy for kids.” Marina is responsible, taking care of all aspects of her work. Her sincerity as a teacher is made clear in how she approaches her work, and always maintains a professional attitude.